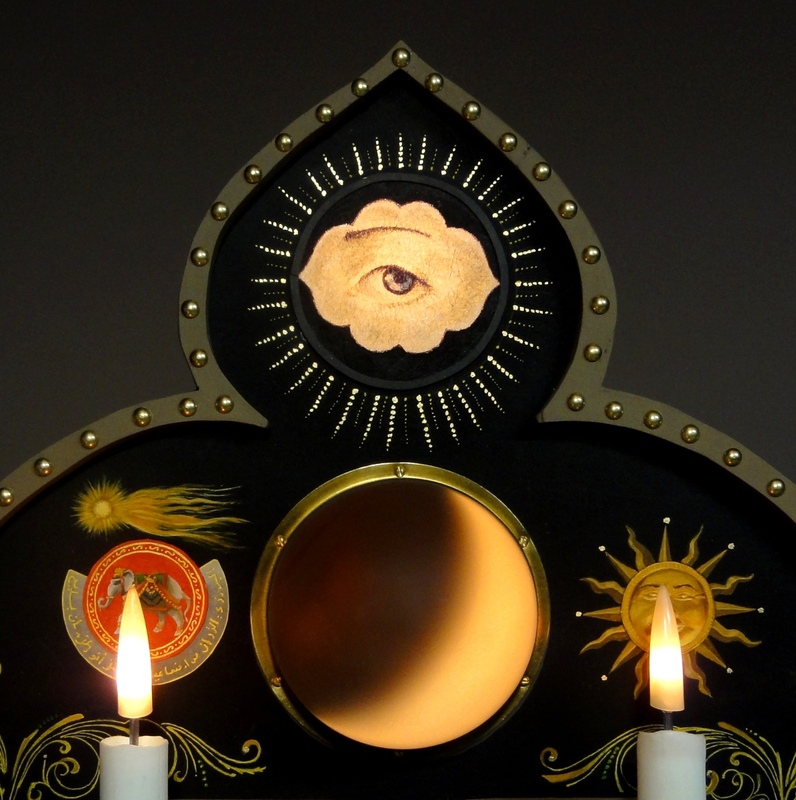 Entirely hand made and hand painted with glowing Eye and Moon. Moving candle flames. One of a kind.